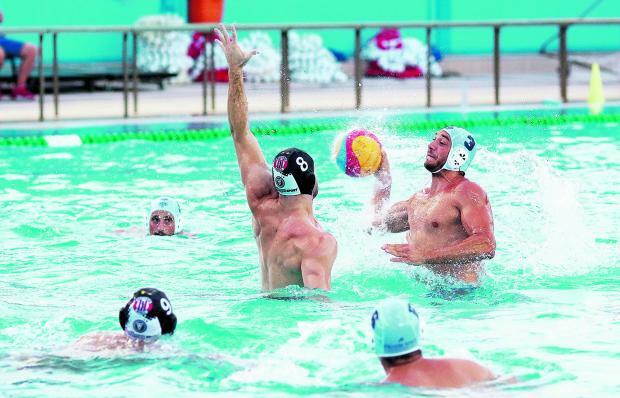 True to tradition, Sliema and Neptunes served up an exciting match with the teams simply playing their hearts out and the sizeable crowd present at the National Pool enjoying every second of the proceedings. That the spoils were shared was fair, even if the result favours San Ġiljan. Sliema enjoyed a two-goal margin when ends were changedand five times by one goal but Neptunes fought generously in the fourth session, taking the lead only in the last eight minutes. Sliema’s tighter marking and better finishing helped them to lead 4-3 in the first session with Neptunes labouring to find an ideal shooting positon against their opponents’ unyielding rearguard. The Blues again edged their opponents by the odd goal in five in the second session during which Mark Meli for Sliema and Neptunes player Jordan Camilleri were hanging on two exclusions. Sliema’s two-goal lead at the half-way stage was fully deserved with Christian Presciutti proving to be their catalyst. But Sliema saw their advantage wiped out early in the third session with Gabriel Pace and Nikolai Zammit levelling the score for Neptunes. With Niki Lanzon fouled out at the beginning of the last session, Prescuitti saw his effort from a penalty well blocked by Alan Borg Cole, before serving Matthias Azzopardi to make it 8-7 for Neptunes. Michael Cordina drew another smart save from Borg Cole before Jamie Gambin equalised for Sliema. The thrilling fare was maintained until last with Stevie Camilleri and Nicholas Bugelli scoring at each end. Valletta made champions San Ġiljan stretch every sinew before surrending in the final session to go down 15-9. After going 3-2 behind in the opening quarter, Bogdan Rath’s lads kept chasing their opponents to finally make it 7-7 in the third session. But soon they went two lengths behind as San Ġiljan took control of the match and started to distance themselves from the Citizens. The final session was all San Ġiljan, with goals from Obradovic, Peter Borg (2), Fava and Zammit (2) wrapping up victory. In Division One, champions Marsaxlokk woke up to their responsibilities to inflict the first defeat on Birżebbuġa who had otherwise enjoyed a clean slate so far. Birżebbuġa had an edge over their opponents before the change of ends courtesy of a two-goal start earned in the first session which left them ahead of their opponents. After both teams shared the goals in the second session, Marsaxlokk won the third quarter to administer their lead till the end. Marsaxlokk: R.Coleiro, C. Spiteri de Barro 2, L. Calleja, C. Bonello 1, C. Gialanze, N. Hosnyyanszky 1, S. Meli, M. Rizzo 1, B. Buhagiar, M. Pace, O. Zammit, J. Galea, K. Lanzon 2. Birżebbuġa: A. Abela, M. Borg 1, N. Cassar, D. Pace Lupi 1, S. Mora 2, J. Rizzo Naudi, S. Vassallo, D. Cutajar 1, S. Micallef, M. Cutajar 1, K. Rizzo Naudi, J. Zerafa Gregory, D. Spiteri. Referees: Adrian Alecsandrescu, Ronnie Spiteri. San Ġiljan: J. Tanti, P. Borg 2, A. Galea, B. Grech, C. Farrugia, M. Zammit 5, B. Plumpton 1, T. Said, P. Obradovic 3, P. Fava 4, D. Ciantar, T. Micallef. Valletta: R. Sciortino, J. Spiteri Staines 2, A. Agius 1, M. Mifsud 2, T. Agius, R. Mock, D. Paolella 2, M. Toth 1, A. Mifsud, C. Zammit, K. Galea 1, N. Farrugia, M. Lanzon. Referees: Stefan Licari, Alessio Nicolai. Sliema: J. Sammut, J. Gabarretta, C. Presciutti 2, J. Saliba, M. Meli 1, K. Dowling 1, M. Spiteri Staines 2, D. Fenech, M. Cordina, J. Gambin 1, Z. Mizzi, N. Bugell 2, Z. Sciberras. Referees: Massimo Angileri, Adrian Alecsandrescu.